Barbies, Barbies everywhere. How in the world a 4 year old has this many Barbies, I’ll never know. 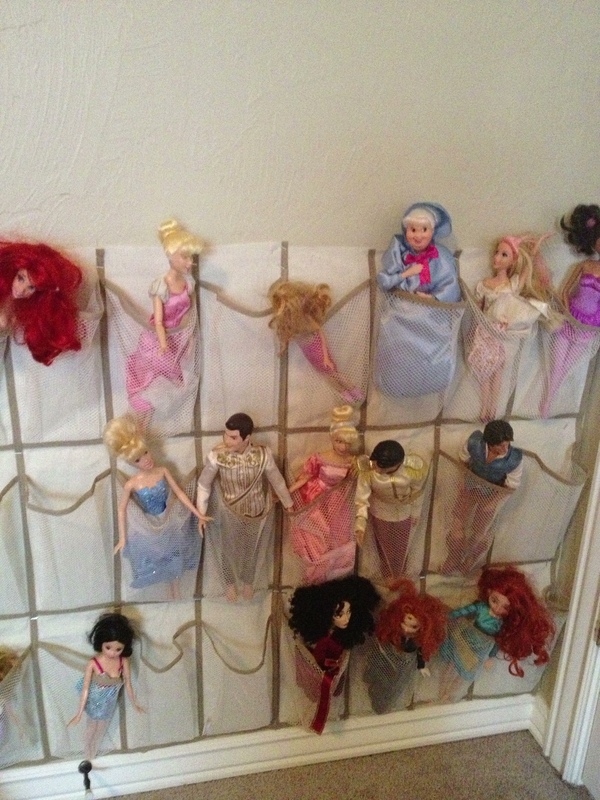 So the budding Barbie nudist colony in my daughter’s room has created the need for a unique storage solution option. 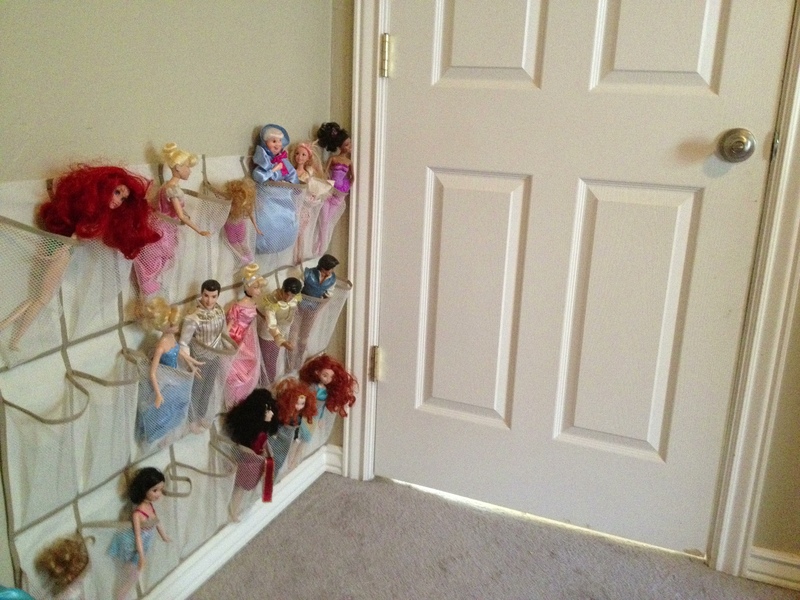 A Pinterest search showed several different similar pins in which a shoe organizer was utilized for Barbie storage, but the obvious flaw in this system was that a small child wouldn’t be able to reach more than half of the Barbies. Sooooo, I cut the shoe organizer in half, took a staple gun, and stapled it to the space behind the door. The end result was perfect–storage that Claire could easily reach that was out of the way. I dressed the Barbies just for you. You’re welcome. 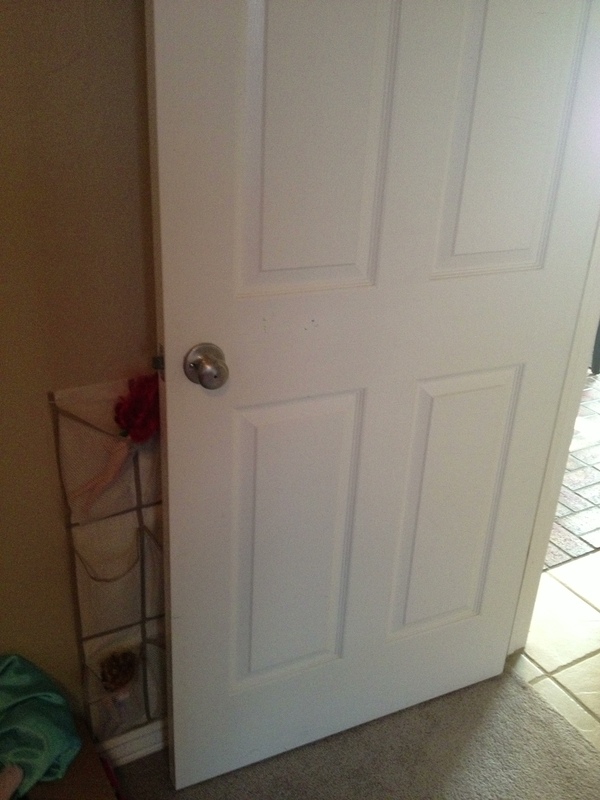 And as you can see, it doesn’t prevent the door from opening completely. Anyway, it works great for us! Great idea!! I’ll have to try that!